As a grandparent, you have a lot that you can share with your grandkids. You have great childhood memories, as well as life lessons that you’ve learned along the way. Your life stories might just be the very thing you need to get your grandkids to open up about what they’re going through. Plus, it will provide them with wisdom and help form the basis of a great relationship between you and them. If you don’t think your grandchildren care about your life stories, consider some reasons why you should share them anyway. You’ve gone through a lot in your life. You’ve had good times and bad. Those experiences and what you gained from them can prove to be invaluable to younger generations. Here are just a few ways your grandkids will benefit when you spill the beans and share your life stories. Family history is extremely important. But it’s something that can be lost if it’s not shared. This can lead to regret down the road – regret that your grandkids never got to hear about their grandparents’ lives firsthand. This goes way beyond regret, though. As history has shown, when we don’t share information about our heritage, it’s easy for entire languages and cultures to vanish. During your childhood years, you may have learned skills that aren’t that common anymore. If you have a skill like baking, sewing, or woodworking, why not share your experiences while passing along your unique skills? Sharing family memories is a great way to bond with each generation. Imagine sitting at the dining room table eating chocolate cookies with your kids and grandkids. Can you see the smiles on their face and the laughter coming from all of you as you tell funny stories of your childhood or that of your own kids? In some cases, you’ll start talking about a story from your childhood because something your grandchild said or did reminded you of it. This builds camaraderie and makes your grandchild feel like you really do understand what they’re going through – even though you are older. And you’ll benefit, too. You’ll realize that things haven’t changed all that much since you were a kid. Children these days deal with self-worth issues, peer pressure, and fear of the future – just like you and your friends did during your formidable childhood years. This knowledge will help the two of you grow closer together. But it will also give you a chance to further your opportunities for personal growth, improve your self-worth, and lower the risk of depression. And who knows? Your grandkids might find your stories so entertaining that they tell you that you should share your stories with even more people. More and more seniors are doing this in the form of self-published books, blog posts, and magazine articles. Opening up to younger people isn’t always easy. It may not feel like they have the time or interest to listen to something that happened decades ago. But because the benefits of sharing these memories are so important, it’s vital to find a way to break the ice and share your stories and your wisdom. One way you can do this is to add humor to your stories. Everyone loves a funny story. When people listen to them, it doesn’t feel like they’re “being taught a lesson.” It’s just an enjoyable story that makes them laugh, makes the time fly by, and in the end – it gives them something to think about. Another way to break the ice is to weave your stories into what you’re already talking about or into an activity that you’re enjoying with your grandchild. Over a meal – or while cooking it together. As we get older, our life experiences provide us with wisdom. But that doesn’t mean we have to go through every single experience in order to act wisely. We can learn how to get through life successfully by learning from the examples of other people. This is just one of the reasons why grandparents should share life stories with their grandchildren. 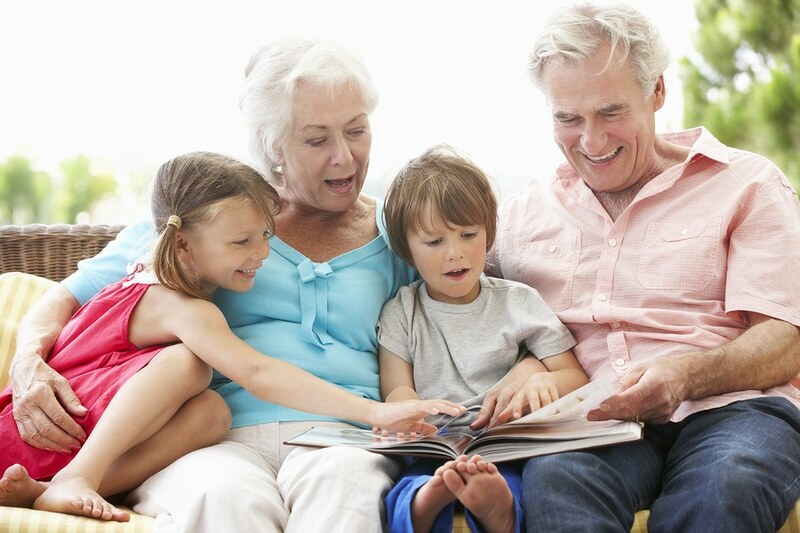 If you’re a grandparent and want to bestow some wisdom and/or knowledge based on some hard-learned lessons you’ve gone through over the years – you can do that simply by opening up. Though your teenage grandchildren might not always seem interested in what their grandparents have to say – they might surprise you. Sharing your childhood memories and lessons you’ve learned over the years is a great way to bond with your grandchild and give them knowledge beyond their years. And it’s the perfect way to show them how much you love and care about them. There’s no better gift!